Do I Have to Do Art With My Kids? The Survey Says . . . If art is the last thing you want do with your kids you might want to rethink your school curriculum. I know what you're thinking – it's messy and I don't have a clue about it! Most of my friends sent their kids to my house to do art because I didn't mind the mess. 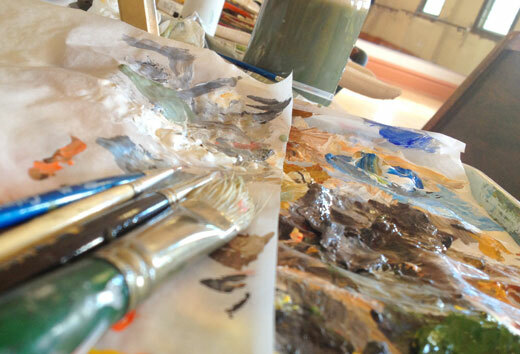 I happen to love the creative process, even though it does tend to make a mess. But what I love the most is when I see the "light" go on. When that happens you just have to forget about the mess. What you may not realize is that an art-rich education actually helps your student in most of the other academic areas and can cause them to be more engaged in areas that they are not interested in. That was my primary reason for writing Drawing on History. I knew that if I could engage high school students in art, I could engage them in the history that took place during the same time period. And it worked, even for my homeschool students who weren't inclined to do art. The arts prepare students for success in work. Arts education develops thinking skills and capacities key to success in the 21st Century workforce. 1. Equips students to be creative. Arts education develops creativity, one of the top five skills employers prize for the 21st Century. Students receiving an arts-rich education perform better on assessments of creativity than do students receiving little or no arts education. Performing arts students, for example, show greater flexibility and adaptability in thinking than their peers. 2. Strengthens problem solving ability. The arts develop reasoning skills that prepare students to solve problems. Students who study the arts, for example, score higher than their peers on tests measuring the ability to analyze information and solve complex problems, and are more likely to approach problems with patience and persistence. 3. Builds collaboration and communication skills. In the arts, students learn to articulate their intentions, receive and offer constructive criticism, and listen actively to others’ ideas. Art making allows students to experience what it feels like to be active members of a community and to work as a team to determine and achieve common goals. 4. Increases capacity for leadership. Students who participate in the arts develop leadership skills, including decision-making, strategy building, planning, and reflection. They also prepare to use these skills effectively by developing a strong sense of identity and confidence in their ability to affect the world around them in meaningful ways. 4. Fosters a creative community. Wow! Why would you let the arts slide when it has so many remarkable benefits? If you homeschool and you can't bare to touch the arts, look into my book Drawing on History or find someone that teaches art, music or drama classes and get your student engaged in the arts. You will not be disappointed.